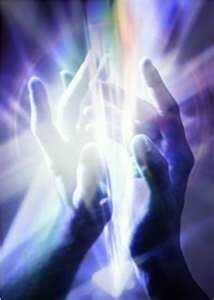 Spiritual healing is a natural energy therapy. It complements conventional medicine by treating the whole person-mind, body, and spirit. Spiritual healers act as a conduit for the healing energy which relaxes the body, releases tensions and stimulates self-healing. The benefits of healing can be felt on many levels, not just the physical, and the effects can be profound. The channeling of the healing energy to someone who requests it is called a healing. The channel is usually a person whom we call a healer, and the healing energy is usually transferred to the patient through the healer’s hands. The healing does not come from the healer, but through her. Many healers see the body, mind and spirit as one interdependent unit and believe all three must work in harmony to maintain positive health. Any problem-be it a broken leg or depression need the power of healing to restore the balance of the whole person. Some healers feel that sickness often starts in the mind or at the deeper level of the spirit, and it is often here that healing begins. The word Spiritual refers to the divine nature of the energy, which healers agree comes from on external, invisible intellegent source. The healing energy from this source is available to all. It is the recognition and acceptance of a god beyond our own intelligence and with whom we can have a relationship. This god can provide an experience of inspiration, joy, security, peace of mind, and guidance that goes beyond what is possible in the absence of the conviction that such power exists. Spiritual healing can help with any problem, mental, physical, or emotional. Typically, to begin the treatment, the healer will attune with the healing energy. Then she may scan your body, with her hands hovering just above the body or directly touching the body. This scanning is to take a reading of your body’s energy levels and to locate areas of low or blocked energy where healing is needed. How the long the healer spends on each area is determined by your body’s needs. During the treatment you may feel heat coming from the healer’s hands. Afterwards, most people say they feel relaxed and peaceful, although you might feel thirty, hungry, or sleepy. You can view our full pricing list here, or contact us to schedule a Spiritual Healing appointment at Holistic Care Approach in Grand Rapids, Michigan.